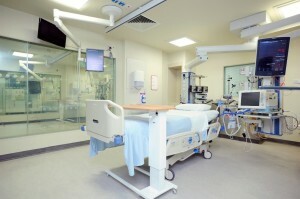 SmartGlass is leading the way in healthcare interiors with infection control and patient dignity being driven as key priorities throughout the NHS. Patient observation can be carried out safely and efficiently by simply switching the SmartGlass to its clear state reducing the risk of cross-contamination as care staff do not have to physically enter the ward to observe patient activity. 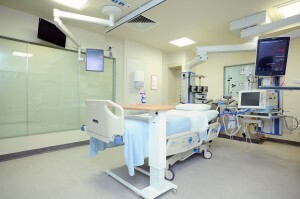 SmartGlass provides the ideal surface to combat these deadly infections and eliminates the need for traditional blind systems which are difficult to clean and high risk in terms of harbouring dirt and bugs. 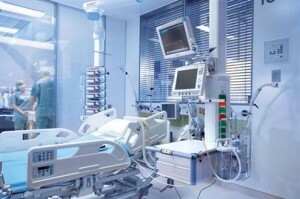 The patient environment can be controlled precisely to the patients needs where privacy is available on demand whilst still allowing for 67% light transmission when switched to its “Off” state. This entry was posted in Articles, Smart Glass News and tagged electric privacy glass, Electronically Switchable Glass, LC smartglass, Privacy Glass, smart glass, smartglass, SmartGlass International, switchable privacy glass. Bookmark the permalink.